What is the Spanish LSAT? The Law School Admission Council now offers a version of the LSAT in Spanish. But the Spanish LSAT, which LSAC offered in 2015 for the first time, is a good fit for only a small portion of law school applicants. This post provides all the details you need to determine whether registering for the Spanish LSAT is right for you. Is the Spanish LSAT the Same Test as the LSAT in English? No. The content of the Spanish LSAT, including question types, is very similar to the content of the LSAT in English,but the two tests are not exactly the same. LSAC has not yet provided detailed information about the specific differences between the two tests. We do know that the Spanish LSAT is scored differently than the standard LSAT. It is scored on a scale of 200-260, whereas the LSAT in English is scored on a scale of 120-180. LSAC has indicated that even though the two tests’ scoring scales are different, scores on the two tests are comparable. In other words, a median score of 230 on the Spanish LSAT is roughly equivalent to a median score of 150 on the LSAT in English. Another similarity between the two tests is the cost. Both tests require registration through LSAC’s website. And, as of November 2015, registration for both tests costs $175. Who Should Take the Spanish LSAT? The Spanish LSAT is a good fit for only a small number of test-takers for two reasons. First, the Spanish LSAT is offered only in Puerto Rico. You will be unable to take the Spanish LSAT at testing centers in the United States, Canada, or other countries. 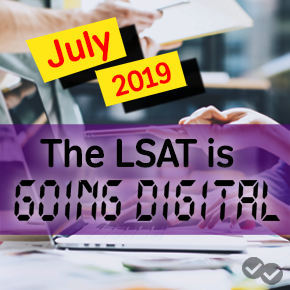 Second, LSAC will report scores from the Spanish LSAT only to three law schools in Puerto Rico: University of Puerto Rico School of Law, Inter American University School of Law, and Pontifical Catholic University of Puerto Rico School of Law. You can’t use your score on the Spanish LSAT to apply to any other law school. LSAC won’t even send your score report anywhere other than those three schools! Also, the three law schools that accept the Spanish LSAT do not require it. You can still apply to law school in Puerto Rico using scores from the English LSAT. So, the only reasons to take the Spanish LSAT are that you are a native Spanish speaker who intends to apply to one of the three law schools in Puerto Rico, and you either live in Puerto Rico or can travel there to take the test. If it sounds like the Spanish LSAT is a fit for you, check out LSAC’s Spanish LSAT information page to find more information about the test. 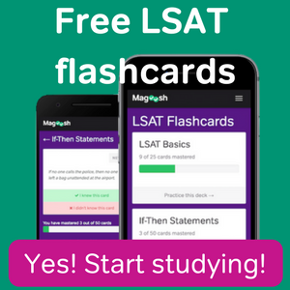 Sean blogs about LSAT strategies and tips and law school admissions for Magoosh. With graduate degrees in education and law, Sean is both a veteran classroom teacher and a practicing attorney. He loves logic games, esoteric case law, and watching Netflix with his wife and Moby, his English bulldog.